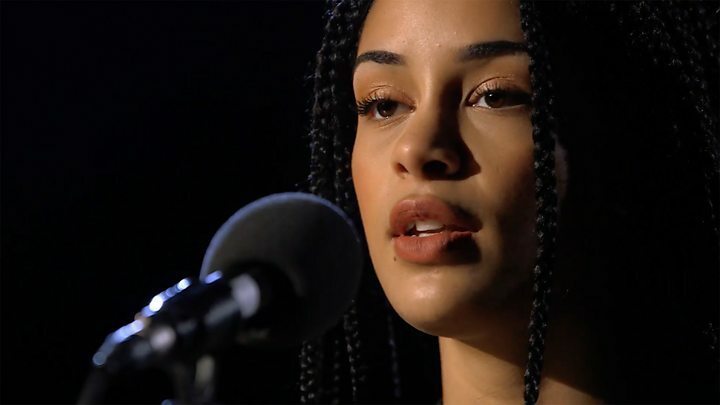 The sensitive, streetwise soul of 19-year-old singer Jorja Smith has earned her fourth place on the BBC Sound of 2017 list, which aims to showcase the best new talent for the new year. Smith, from Walsall in the West Midlands, started making waves a year ago with a song about police injustice that sampled rapper Dizzee Rascal. 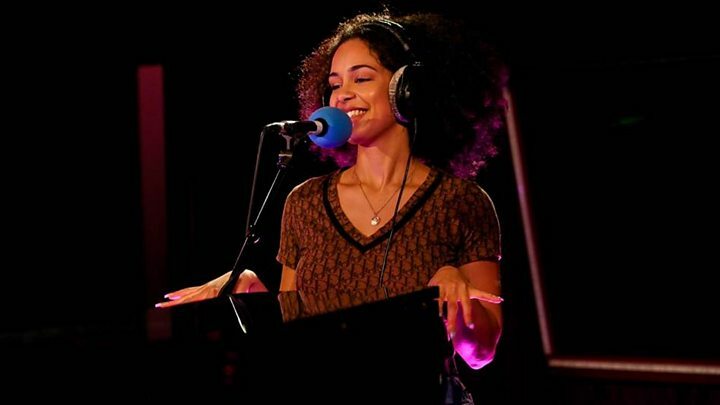 For her next track, the musician borrowed from another English musical icon - 17th Century composer Henry Purcell. 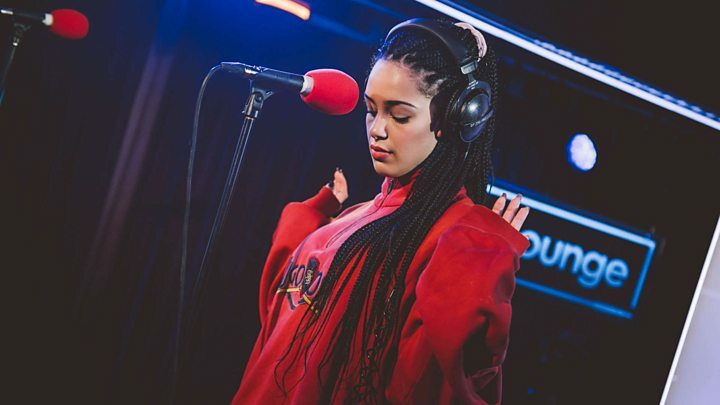 Her beguiling voice takes in Corinne Bailey Rae's wounded soul, Amy Winehouse's quivering, colloquial jazz and ends up at Rihanna's sultry siren - always giving the impression she has more power and range in reserve. She is now forging her career as an independent artist, filming the video for Where Do I Go? on her own on her aunt's stairs, and sees no reason to sign with a record label any time soon. Jorja - is that how it's spelt on your birth certificate? Yeah, my mum likes it that way. It's spelt how you say it. But then when I got into school people used to put "G"s in it. I guess it makes my last name less boring. Who are your musical heroes and heroines? Amy Winehouse, Mos Def and Damian Marley. When I used to come to London, I would listen to Back On Both Sides [by Mos Def] here and back from Walsall all the time. And FKA Twigs helped a lot when I moved to London and worked at Starbucks and had to get up at four o'clock to get to work at six. I remember I got the Atomic Kitten CD. There's always been music in my house growing up. In the kitchen there's a speaker and we'd always have my mum's iPod in it - she never makes food without listening to music. And I used to watch Top of the Pops with my dad. Aren't you too young to remember Top of the Pops? No, I remember seeing Destiny's Child and they were wearing heels but they were trainers. Trainers with heels. And I was like "wow". And my dad used to make me CDs of songs to listen to. Your dad was in a band, wasn't he? Yes - 2nd Naicha. Both my parents have been big influences on me wanting to do music. My mum's always been, "Just do it. Just sing." I did classical singing at school. I did exams in that. I'd sing soprano and we'd sing in German, we'd do Schubert for my pieces, in Latin, French… I really enjoyed that. I kind of miss it. I like putting it in my music. In Imperfect Circle, that whole ending, I love making lots of high noise. On the first night of your first headline tour you thanked your dad for writing the final line to So Lonely. Does he chip in when you get stuck? At home I'd come downstairs with an idea and say, "What do you think of this?" He'd be like, "I can't hear the chorus, maybe change that". It was all constructive criticism. Originally the line was, "So lonely now my friend". My dad was like, "How about you change it to, 'So lonely has become my friend?'". I was like, "Oh that sounds really good." I told him I was going to shout him out at the first show I did. You put your first song Blue Lights out last January - how did that come about? I wrote that in year 13, when I was 17. My media A2 coursework was looking at post-colonialism in grime music and I was analysing Dizzee Rascal's music video for Sirens. He's being chased by a load of people on horses in red foxhunting gear, so that was a really good example of it. My manager had already sent me this guy's beat from Soundcloud and I had Sirens stuck in my head, so I was singing that and it worked to that song. It's funny because I told my A-level media teacher, "I'm going to be a singer." He was like, "No you're not". Has he heard it now? Yeah, he messaged me on Facebook. He was like, "This is so great, well done. Media did help you!". Is the song about anybody in particular? No. When I'm writing, I like to have a tiny bit of fact and then exaggerate it and turn it into something more people could relate to. The tiny bit of fact: I used to catch the number four bus and I have two friends, and I based it on them because they are stereotypically what I'm talking about in the song. They were the type of boys who would be like, "Ah, police, the feds are coming". The song is about, why should you be running from something if you haven't done anything wrong? That was picked up by Drake? Yeah it got played on [Drake's radio programme] OVO when it first came out. Do you know what's mad? It's the first thing I put out and people were listening to it in America and they can relate to it. It got played at a Black Lives Matter protest in Birmingham. My friend sent me a video. That was mad. But I was writing it also because of what I was hearing in the media, so it made sense. He liked it. He put a video up on Instagram of him in his car, vibing to the song, and then when his bit came on at the end he was smiling. So that's really cool. Your next song A Prince borrowed from Henry Purcell. Why? My music teacher played the original song and I really liked it. I just heard it, wrote it down on a piece of paper, went back home, listened to it, looped the intro and pitched it down. So that's another song I was inspired to write through school. School isn't all that bad. Image caption "I like getting into people's shoes and getting into a character"
Are there any themes in your lyrics? I try to write as real as possible, even though I make things up. They're based on a truth that I believe. What I'm trying to give people is honesty. I listened to Amy Winehouse's Frank so much when I was growing up. And you can believe everything she's saying, everything is honest. It's almost like somebody's talking to you. If you listen to a song, you want it to help you with whatever's going on right now in your life. A lot of it's about love. There's a bit of heartbreak. It's funny because I've never been heartbroken. I've got a boyfriend now but he's my first boyfriend. So I write from little things that have happened and I like getting into people's shoes and getting into a character and making a whole story. And also from talking to people, my friends... Like A Prince - that was from hearing things from my friends about their problems. Your song Beautiful Little Fools is based on a quote from The Great Gatsby. Another song that was inspired through school, because I did The Great Gatsby at school. In that quote, Daisy says she hopes her daughter is a fool because that is "the best thing a girl can be in this world, a beautiful little fool". Did you pick up on that because that's still a common view? Yes. I'm trying to give a message to people - be real to yourself. The only person you need to please is yourself. From a young age you do stuff… even me at school. I wasn't the best looking girl at school. I always fancied loads of boys and I'd always get rejected and no-one would go out with me and I'd always be trying really hard to make people look at me. But I realised you don't need to do that. I doubted myself and thought maybe if I look like this… I wanted to be really skinny. I didn't want to have a bum and I didn't want to have big lips. But it doesn't matter what people say. I got over it. Everybody sees beauty really differently so as long as you know in yourself you're beautiful, everything's cool. You're doing everything very DIY and filmed the Where Did I Go video on your aunt's stairway - how did you do that? I had the camera on the banister and it was quite good lighting. I haven't got make-up on in that video, just lipstick. Do you like having control over everything? I always have input into what I want videos to look like, and artwork. My boyfriend took the picture for the Project 11 artwork in Dubrovnik. We fell out over that - I tried taking a picture of him but I'm not any good. But he took a really good one of me. It's on the bed and the bedsheets are all orange so it looks really cool. And my friend Shannon did the artwork for Blue Lights. Are you planning to sign with a record label? No, not yet. I'm happy. I don't know any different and it's going good right now so I'm just going to keep going with what's happening. What happened to the previous winners?